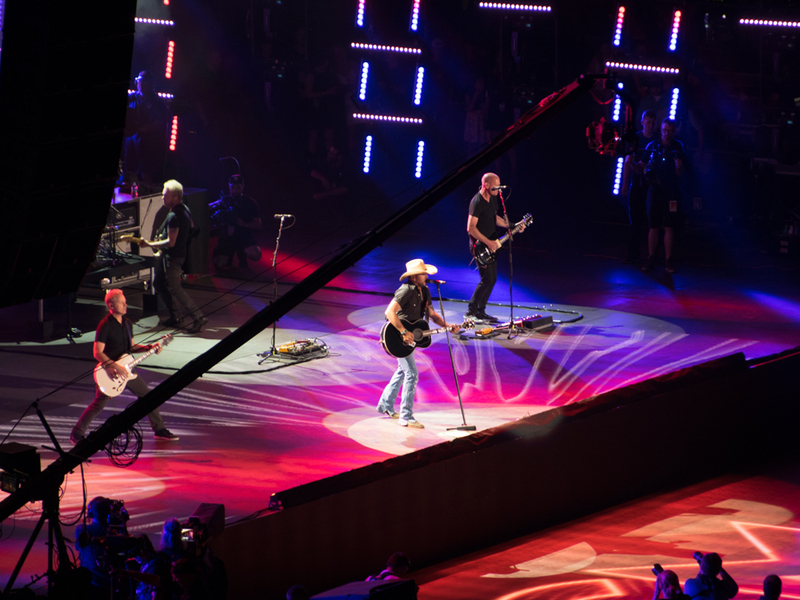 More than 50 people are confirmed dead and more than 400 injured after a “lone wolf” gunman opened fire during Jason Aldean’s set at the Route 91 Harvest Festival in Las Vegas last night (Oct. 1). The male suspect, a 64-year-old local resident, has been killed. The suspect fired on the crowd from the 32nd floor of the Mandalay Bay Hotel. The shooting began on the final night of the three-day festival, forcing Jason and his band to flee the stage mid-performance.